Party Pack is a popular one either for last minute dinner plans or a grand party. It's uniquely smoky and delicious and tastes tastes like authentic Nigerian Party Rice ! Traditionally enjoyed on its own or salad or beans or with Chicken Stew or Designer Stew , It is a winner UK WIDE. 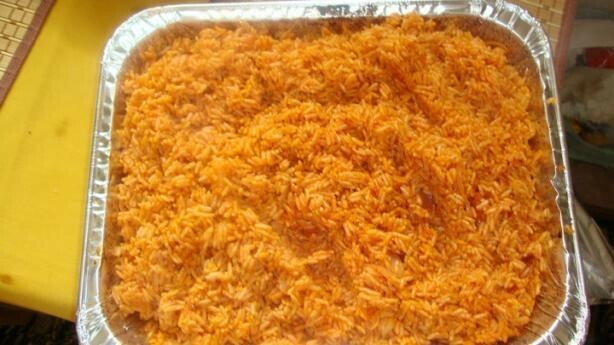 Of course, Jollof Rice is a vegetarian national dish amongst West Africans especially but fast growing on the British lunch and dinner tables. Serves Medium Spicy but if requires mild or hot spicy, kindly let us know in the Order Comments which comes up after CheckOut !